Hello friends. Whoa – last week was a big week! 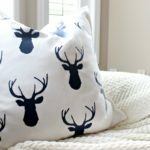 Did you see my entire week of Command Center Reveals and DIYs?! It was crazy busy. 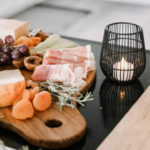 I needed a breather, but now I’m settling back into blog life, and just in time for #12MonthsofDIY! 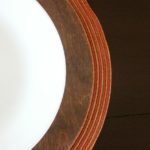 Every month I partner with a great group of people to DIY something amazing with the same item. 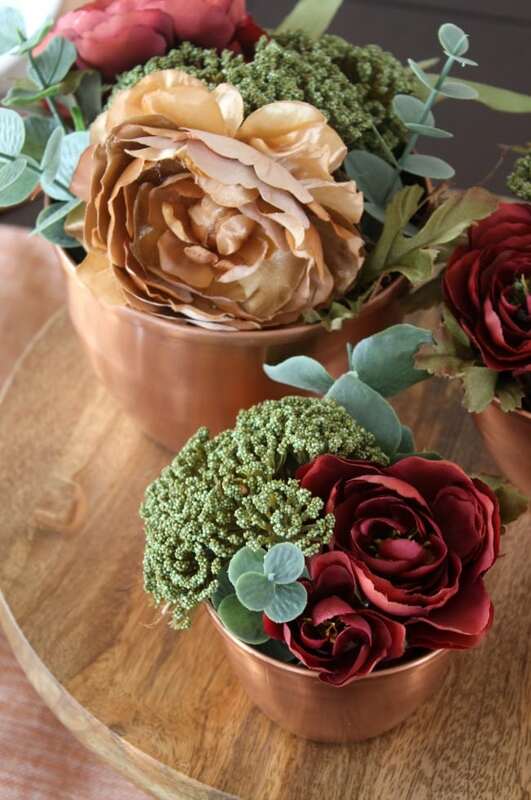 This month with worked with faux flowers, and you will not believe the stunning projects – including my DIY Copper Centerpiece! When I saw these Copper bowls from Aforal, I knew I had to use them. I didn’t know how yet, but I knew I had to! 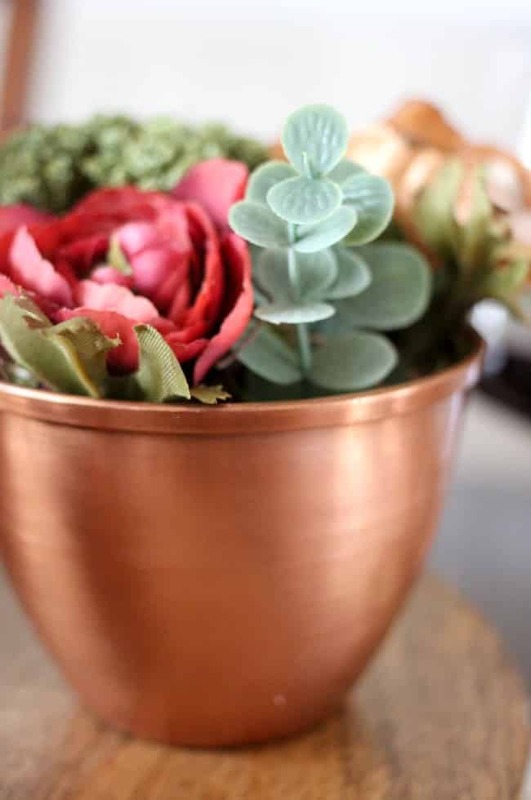 So I grabbed a couple of florals that I thought would compliment the copper and I ran off to scour Pinterest for beautiful floral arranging tips! When the flowers from Afloral arrived, I was stunned! They were SO beautiful and very reasonably priced. They hardly look faux at all. Seriously lovely! 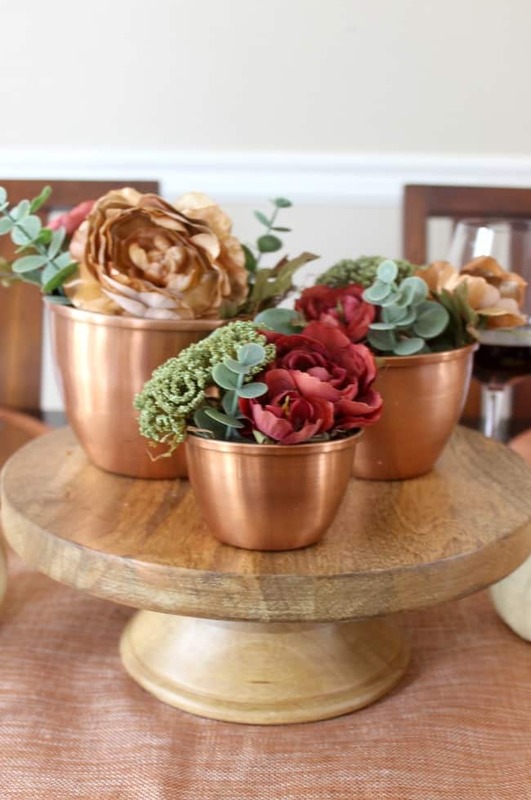 The eucalyptus and ranunculus that I picked were the perfect blend of rich fall colours, and looked stunning beside the copper bowls. I gathered a few other florals from my stash, including some green spray and champagne coloured roses to round out the colours. 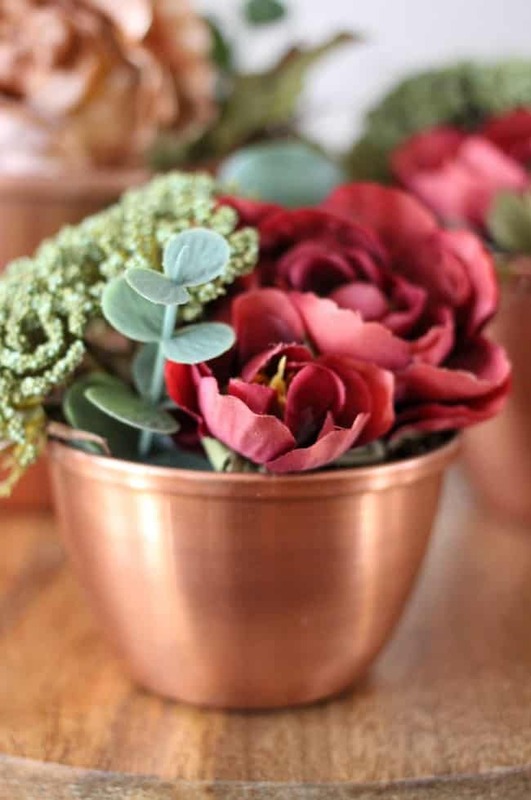 Now cut your florals with the wire cutter and arrange them inside the copper bowls until you are happy with how they look. Happiness was mostly based on balancing the champagne and burgundy coloured florals. Here you can see the arrangement from above – coloured spread out through the three containers and balanced perfectly! Honestly, I am no where near a floral expert, and I put off this project for weeks because I found it too daunting… but in the end this only took me thirty minutes to put together! The small copper containers somehow seem a LOT easier to arrange since there are only so many combinations you can do in a tiny bowl. 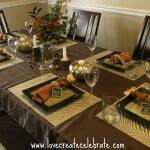 What do you think about using Copper for Fall or Thanksgiving? 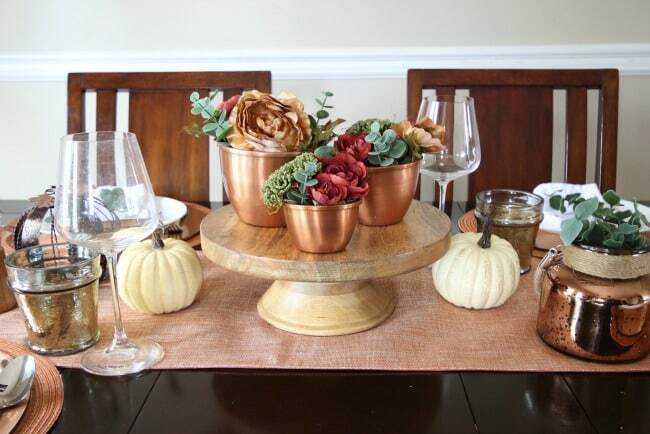 Would you use this centerpiece for a dinner party or a Thanksgiving meal? Leave a comment and let me know! 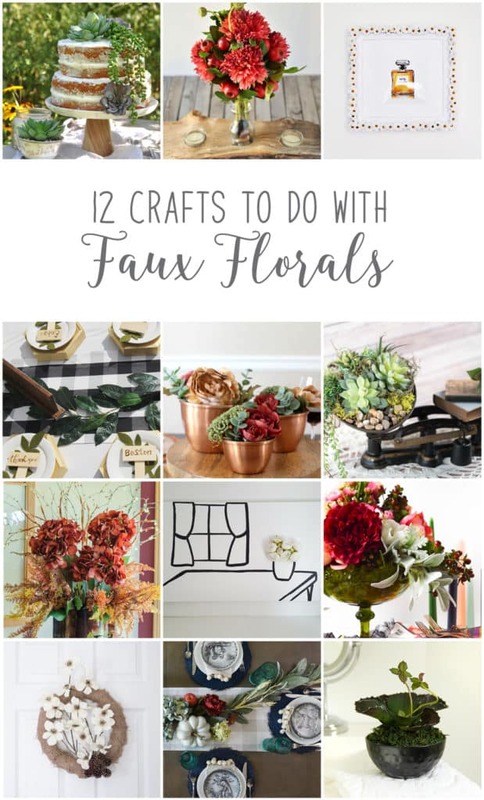 Don’t forget to share your faux floral pictures on instagram with the hashtag #12MonthsofDIY and #SeptemberFauxFlorals to be featured! 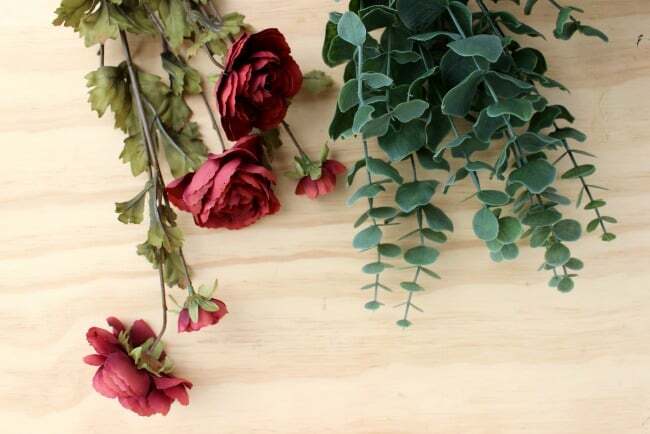 Now it’s time to see the rest of the DIY faux floral project ideas from my Canadian blogging friends! 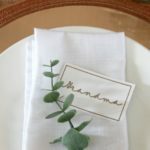 DIY Vintage Succulent Centerpiece from Vin’yet Etc. LOVE them Lindi! Those bowls are incredible! I was intimidated by the floral project too. But yours turned out stunning! The copper bowls are genius and I love your idea of keeping it low so you can talk to others easily. Very pretty Lindi! 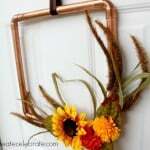 Copper is such a beautiful colour for Fall. So pretty! 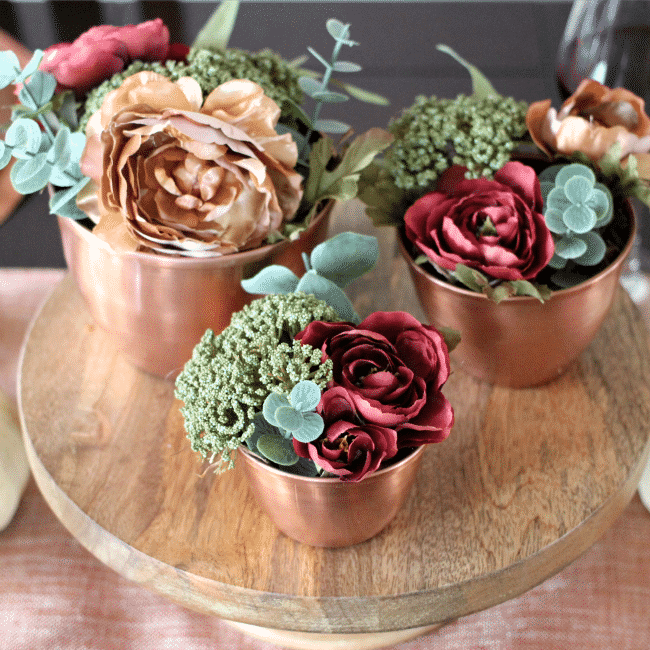 Loving the mix of different floral textures with the smoothness of the copper bowls. And it’s true, Afloral’s had a lot of wonderful non floral products too choose from too! So pretty, love all the colours, the copper is awesome! 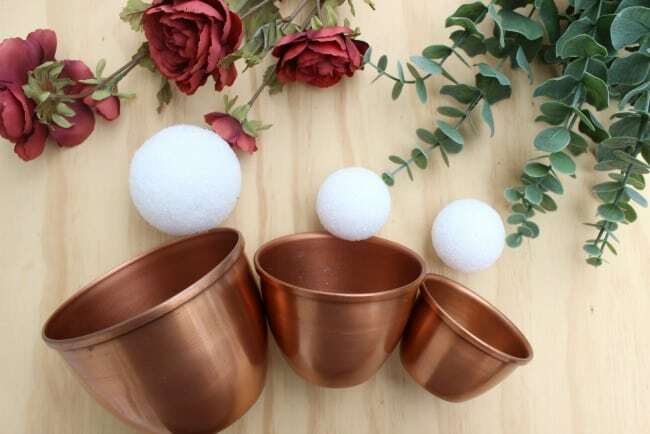 I’m a bit of a copper fanatic, I’m madly in love with these bowls! The arrangements you made for them are so pretty! I love these! The colors are perfect and the copper bowls are my fav. So pretty! 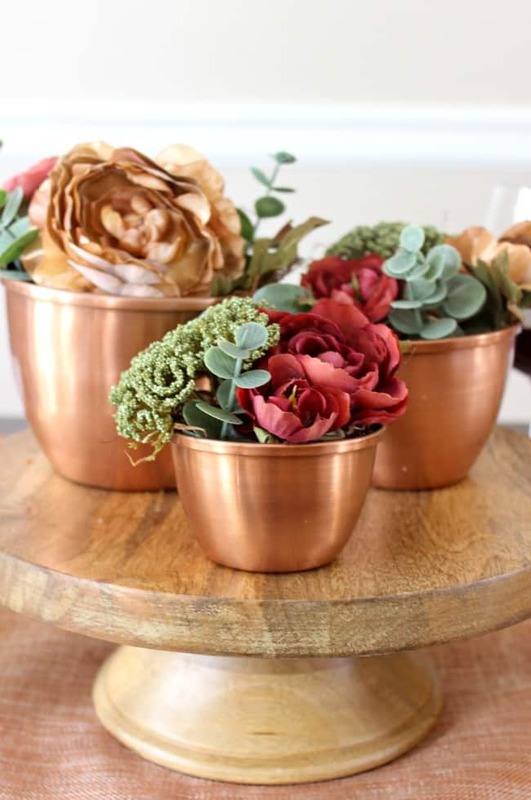 Love the look of the copper, and the arrangement of 3 is such high impact. The colours of the flowers are perfect!